If you have a deliverability problem, we work with you to discover why your email is blocked and what needs to be done to fix the problem. We analyze the data for your specific situation, correspond with ISPs, and recommend solutions. A Wise Investment: A single major US ISP can easily be 15% of a B2C email list, so getting blocked at just one of these ISPs can prevent 15% of your subscribers from seeing your email. This 15% will not have the opportunity to respond to your marketing (or worse, they don’t get their order confirmations). Compare the cost of this to a few hours of expert consulting. Long History: With 31 years of experiences, we've seen problems like yours before and we're well-connected in the industry. For example, one of our team members was an early employee of the first DNS email blacklist. We Know Deliverability: We don't experiment with your business results. We are familiar with how the ISPs work, we can quickly identify patterns, and we also know how to best interact with the ISPs. Provide recommendations to your email strategy, sign-up pages, or content which may improve things. Provided to GreenArrow Engine, Studio, and Monitor customers. Don't get stuck in a dead end. 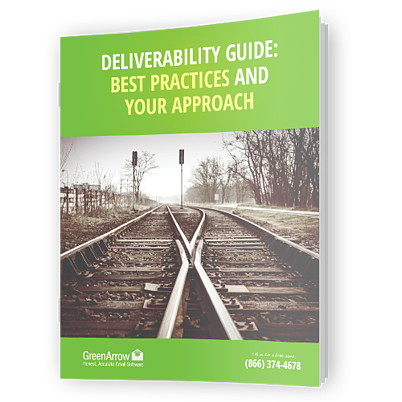 Get your deliverability on the right track—and off the wrong one—with this free guide!